File this under "why didn't someone think of this sooner." As ingenious as it is, you have to ride a steel framed bike, so you aluminum and carbon types are out of luck. There are two versions of the headlight and taillight available, the Randonner with a machined and polished aluminum body, and the Lode which has a silicone rubber outer that is also available in a range of colours. 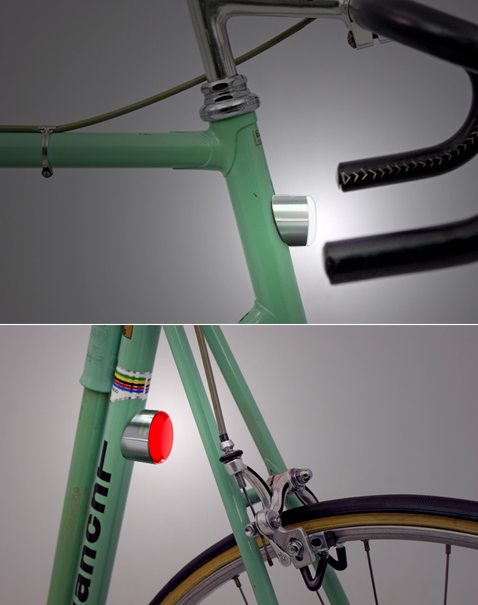 The lights turn on and off by simply sticking them to the frame and then peeling them off, which couldn't be a more simple design function, an the geometry and materials picked ensure they'll fit a wide range of frame diameters. You can see and learn more here.